For the most part, I try to follow a high protein, low carb diet. I love carbs, but they always make me feel sluggish and bloated and I find that by minimising the amount I consume, I have increased energy. When I’m being particularly strict with myself, my Sundays are spent steaming chicken and veg and separating it all out into tupperware to see me through the week. 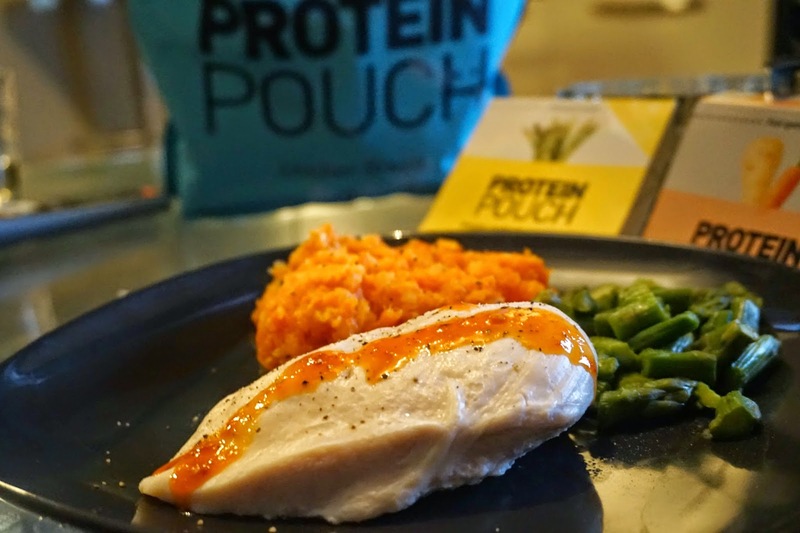 I find this ‘meal prep’ approach really useful and it helps me keep on track with my diet, but it requires a LOT of organisation and often I find I don’t have time to stand over the stove waiting for a load of chicken breasts to cook! 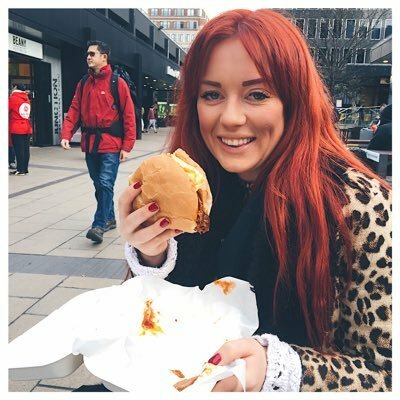 Whilst on Twitter one day, I saw someone RT a post from a company called Protein Pouch and when I clicked through to the page, I saw that they had the answer to my Sunday meal-prep woes! They sell pre-prepared chicken and veg in handy portion sized packaging so that all you need to do is de-frost and eat – literally meaning you can have nutritious meals in a quarter of the time! I ordered a selection of chicken and vegetables which were delivered by a chilled courier to my work address. As the products come frozen you need to ensure you will be at home, so I opted to have them delivered to work so I could put them straight in the freezer before transporting home via the tube - gaining many stares from my fellow commuters! All the chicken is flash frozen in individual portions, after being slowly steamed to lock in all the nutrients. This means each breast fillet can be used one at a time, and you don't get that in annoying situation where you have to chisel apart three chicken breasts which have become welded together in the freezer! 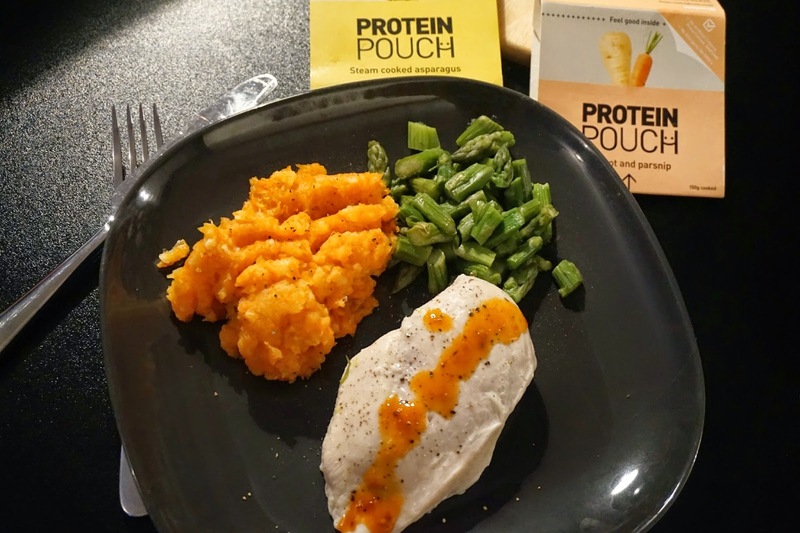 I was really impressed by the quality of the food, the chicken breasts are all a good size and the carrot/parsnip mash was really well seasoned – something I hadn’t been expecting!